The gadget world is constantly embroiled in furious arms race, and that is none more apparent than in the laptop industry. The latest to fire a volley of tech-fury is Fujitsu, who recently launched their 2011 lineup of LIFEBOOK notebook computers, touting them to be "the perfect life companion." For the moment, these laptops very well could be. But then again, you know how fast moments fleet in the tech world. 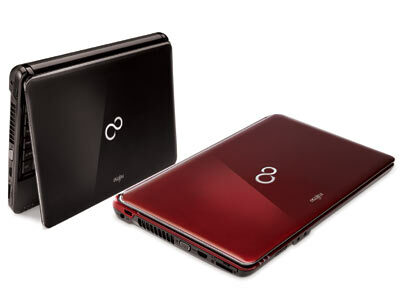 The 8 new laptops in the Fujitsu range include the flagship S Series (LIFEBOOK SH761 & SH561), the N Series (LIFEBOOK NH751), P Series (LIFEBOOK P771), A Series (LIFEBOOK AH531), L series (LIFEBOOK LH701 & LH531) and the B series (BH531). Now, you'd probably think that it's all just a bunch of letters and insignificant numbers jumbled in a jumbly manner, and well, you're right. The only thing you have to keep in mind is that all these laptops run on 2nd generation Intel Core processors, which are designed to meet the preferences and needs of today's multimedia-consuming customers. Along with that, Mr. Edmund Lim, Product Marketing Manager of the brand in the Asia Pacific Region says that "we ensure the power and thermal aspects are intelligently optimized at the very same time” for rugged computing on the go. The laptops are also equipped with user-friendly features that help make the overall user experience better. Just as important as the performance is a laptop's look. LIFEBOOK laptops come in two design concepts: the sleek, vibrant and chic "Cool Tech" and the professional looking, and elegant "Smart Companion." This means that not only will you find a laptop that handles your daily computing needs with ease, but also something that you'd be proud to lug around wherever you need to go. Below, you will find a gallery of the models in this range, along with the important specs and features.